Published By – Crown Heights Affair Publishing Co.
Mastermixes helped make KISS-FM New York's more music leader and your response to them over the past 12 months has been overwhelming. Everyday, we hear from more and more of you requesting copies for your own record collections. Now, for the first time, we're making them available to you as a way of saying thanks for your support. 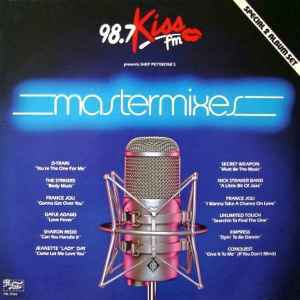 KISS-FM and Prelude Records are proud to present a collection of the best mastermixes, produced exclusively for KISS-FM by Shep Pettibone, including some you've never heard before! You've asked for them and now you've got them in one fantastic package - enjoy! Very good album compilation and set. Really enjoyed this album.